Even when a six-game win streak comes to a close, there are moments of brightness that shine through. 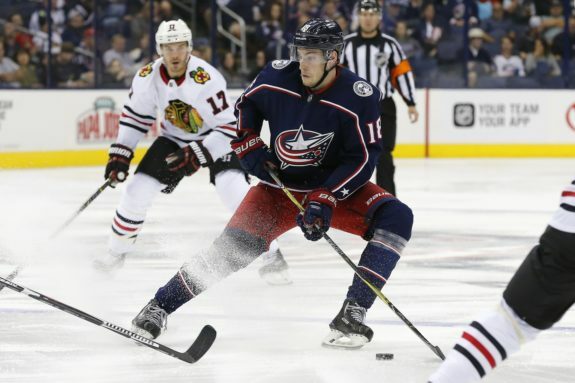 One of those highlights is none other than 19-year-old rookie forward Pierre-Luc Dubois, who is showing he deserves the substantial ice time Blue Jackets head coach John Tortorella has trusted him with lately. After playing a season-high 20-plus minutes Monday night and recording a goal, Dubois is beginning to back up the lofty praise he received prior to the season’s start, even dating back to his draft year. Sure, it helps playing alongside players like Artemi Panarin and the red-hot Josh Anderson. With his fourth goal of the season, though, Dubois is showing he is more than just a big body and living up to the hype so far in the early part of the season. The Blue Jackets have the NHL-worst power play by a significant margin — a success rate of just 8.9 percent (six goals on 67 opportunities). So far, it has not made a significant impact on the team’s overall record. However, as many Blue Jackets players and personnel have previously mentioned, special teams win games, especially when it comes to qualifying and advancing in the Stanley Cup Playoffs. 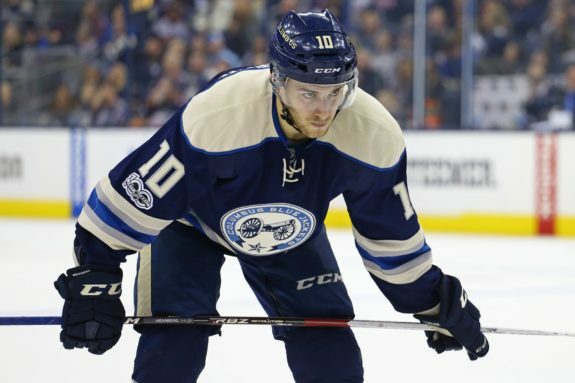 A (hopefully) positive sign for the Blue Jackets will be the return of Alexander Wennberg, who has missed the last handful of games with an undisclosed injury. When Wennberg returns, his rest, recovery and reset should serve the Blue Jackets and their power play well. On a team that appears unwilling to shake up their units, aside from slotting forward Josh Anderson into a spot he has deserved for some time now, the Blue Jackets staff should consider throwing him right into the power play gauntlet. The Blue Jackets might also want to consider more power play time in practice, particularly on zone entries because the drop-pass and dump-and-chase methods are not serving them well. Last year, when both units were rolling, the Blue Jackets had great puck possession and carry-ins that provided a formidable set-up that paid off. At this point, the power play is showing signs of life, but no signs of finishing for a goal. Sure, signs are great and all, but at the end of the day, looking good does not result in points in the standings, which is the ultimate objective. 3) What is This Blue Jackets Team Made Of? The Blue Jackets have only lost eight of their first 24 games. That is not a high number of losses in the grand scheme of things, but a loss in the Metropolitan Division always seems to be magnified when the race is so tight. How the Blue Jackets respond to a defeat like the one they suffered Monday night will tell what this team is made of. Their last slide was tough, with an overtime loss followed by three regulation losses. The Blue Jackets want to avoid that same feat, especially with a Metropolitan Division opponent in the Carolina Hurricanes in town on Tuesday. And, with Wennberg set to slot in soon, who is shuffled around to make room for the top-6 forward? Jordan Schroeder is the easy choice to take out of the lineup, but does Tortorella move a young guy like Sonny Milano down to the final forward line, or does he banish a veteran to the bottom, like Nick Foligno, to get him out of his slump? 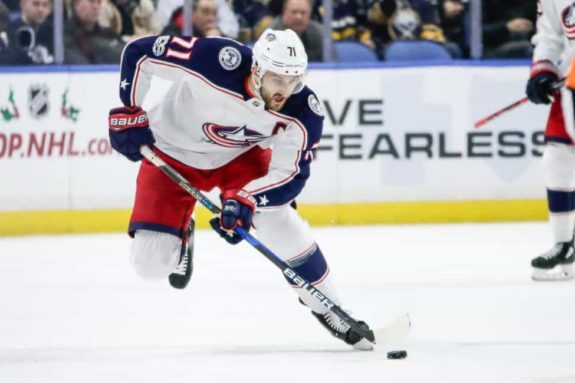 Since the team’s top six forwards have not responded in the way the team has needed to, though, expect someone lower in the depth chart or on the defense to lead the charge in the Blue Jackets’ next game, and next win. This team has needed someone, anyone, to step up in their time of need and so far, at least one individual has taken it upon himself to answer that call.